As Americans debate whether prefab is a greener way to build, those active in the discussion should not be surprised when their dialogue receives puzzled looks from their European counterparts. In Europe, this very question was asked and answered nearly two decades ago. 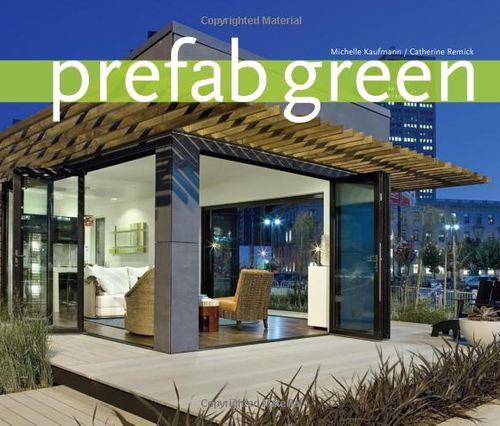 The resounding findings were that prefabrication creates higher-quality structures that reduce both the embodied energy content and the amount of carbon produced annually during the operation of traditional onsite-built homes. The reduction in carbon emissions can be as much as 40 to 60 percent. Today prefabrication accounts for more than 30% of the new homes built in the U.K. and Ireland and nearly 70% of new homes in Scotland, up from less than 1% during the early 1990s. During that same period, my former company, Century Homes, which later became Kingspan Century, grew from a start-up operation of four employees into Europe’s largest manufacturer of offsite-built structures, producing 8,000 units a year at five manufacturing facilities. Prefabrication is better known as offsite construction (OSC) or offsite manufacturing (OSM) across the Atlantic. 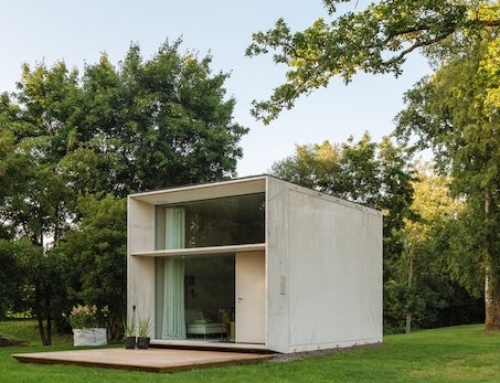 The European definition of “prefab” differs from that in America in a number of ways. First, OSC involves the manufacturing of a structure – or even just the building envelope – in a factory-controlled environment using robotics and other modern methods of construction (MMC). Therefore, OSC is not simply moving the construction of a home under a roof. Second, any style of a house – not just more modern-looking homes with sleek lines – can be built using offsite construction. Third, if a house can be built on site, it can be built in a factory at a similar cost when economies of scale are achieved, and to a much higher quality. 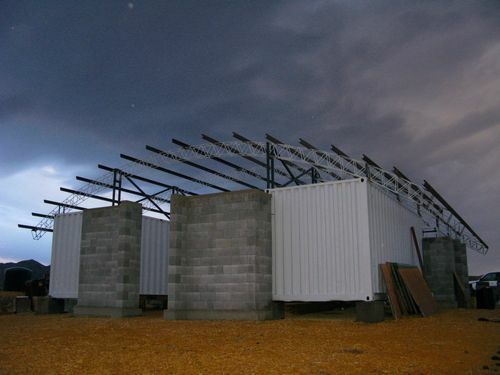 Construction time is also reduced because MMC can assemble a structure far more quickly and efficiently than can be done by humans. In addition, sophisticated software is used to “pre-engineer” the building process, which identifies problems that would cause costly delays on a construction site – as well as wasted materials – well before the first piece of lumber is cut. The European perspective about OSC stems from the widely held belief that there is a direct correlation between higher-quality construction and a greener building and, to that end, higher quality is best achieved in a factory-controlled environment. This perspective, in particular, runs counter to conventional wisdom in the United States, where homes built in a factory are considered to be of lower quality, which is likely related to negative perceptions of mobile homes. To those who consider factory-built homes to be of lesser quality, I pose the following question: If you are buying a BMW – which would you prefer: one built in a BMW factory or one built by a BMW mechanic using genuine BMW parts in your backyard. 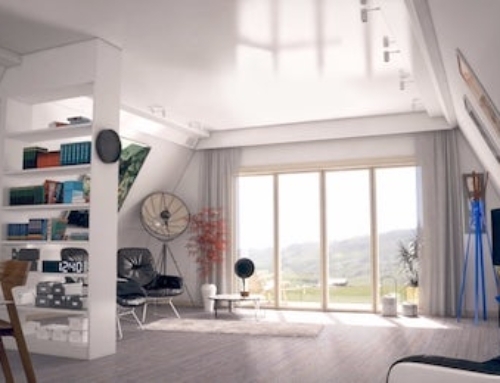 Just as engineering and state-of-the-art robotics have aided the European automotive industry in continually manufacturing higher-quality cars, gains in quality have been achieved when building a house using OSC and MMC. MMC enhances the structural integrity of a home, because materials are being cut and assembled with far more precision than is humanly possible. With MMC, tolerances are significantly reduced to less than the width of a fingernail – much narrower than even a saw blade – and nails can be driven into structural materials at the rate of six per second. When materials are cut to more uniformed lengths and machine assembly ensures that elements are precisely assembled to exacting specifications and further strengthened with the insertion of more nails, the resulting components create an airtight structure, which can reduce heat loss by potentially two-thirds of a standard house. In Europe, careful consideration of how to build greener was a matter of necessity, spurred by the European Union’s signing of the Kyoto Protocol in 1998 and its ratification in 2002. When the initial 15 EU members entered into the legally-binding international agreement, which committed to reducing greenhouse gas emissions throughout the continent by eight percent of 1990 levels by the year 2012, each country had to develop its own roadmap for reaching their individual target – or run the risk of being named, fined and shamed for failure. For many EU countries, the planning process for reducing carbon quickly turned to how to build more sustainable and energy-efficient residential structures, as in the mid-1990s homes accounted for approximately 25 percent of annual carbon dioxide emissions. In particular, both Ireland and the United Kingdom were forecasting a significant boom in housing starts. The Irish government was forecasting that the number of houses built annual would increase from 22,000 to 90,000 during the next 10 to 15 years. In the U.K., the number of residential structures was projected to rise during the same period from 160,000 to 250,000. Unless pragmatic plans were developed to address residential energy efficiency, leaders for both these countries recognized that the increase in housing units would seriously undermine efforts to reduce carbon emissions. Ireland responded by raising energy-efficiency standards by 40% in 2008, which was followed by an additional increase of 20% in 2010. It also began requiring that every new home must provide 15% of its energy use by onsite renewable means. 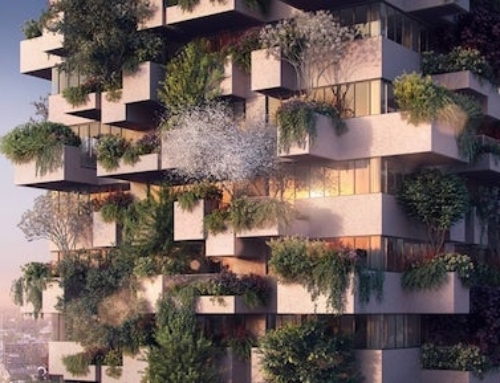 In the U.K., legislation was passed requiring that all new public or social housing be carbon-neutral or net-zero energy by 2013 and new private homes by 2016. The British government also implemented a number of initiatives to encourage increased use of OSC and MMC. 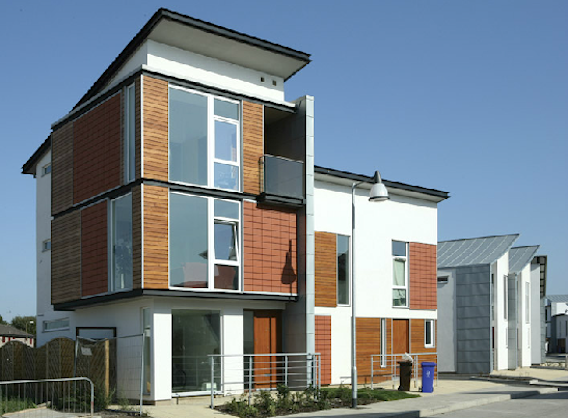 One such initiative was a challenge to build a house using offsite construction that would meet the 2016 green-building standards. 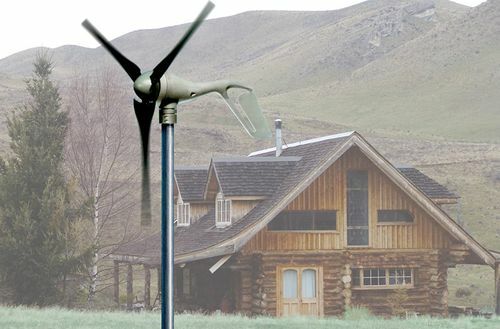 In response to this challenge, my former company built “Lighthouse,” one of the world’s first net-zero energy houses, which was unveiled at the Building Research Establishment’s premier event in 2007. The estimate annual cost to heat Lighthouse – in the temperate maritime climate of the United Kingdom – is approximately $80. In order for mainstream U.S. builders to embrace more sustainable residential building, either the federal government or individual states will need to develop energy-efficiency standards for new home construction. As part of these standards, consumers should be provided with information on how much it will cost them annually to heat and cool their homes. In Europe, as part of the Energy Performance of Buildings Directive (EPBD), every home, and not just a newly constructed home, that is being offered for sale or rental must have an Energy Performance Certificate. This legally binding document discloses the structure’s annual energy costs and CO2 emissions, while also providing suggestions for how the home can be operated in a more energy-efficient manner. Just as customers are armed with information on the fuel efficiency of any new car purchase that they are contemplating, providing estimates of annual heating and cooling costs would enable them to effectively evaluate to what level of energy-efficiency a home has been built. 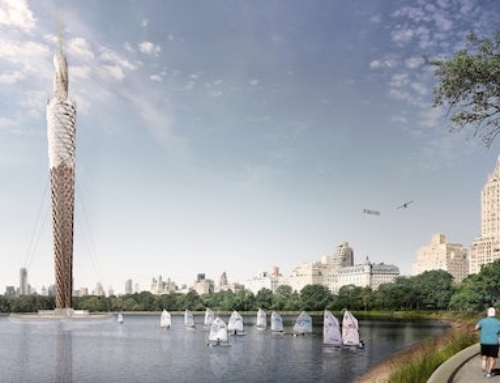 And once transparent energy-efficiency standards are in place in the United States, the many sustainable advantages of offsite construction will become readily apparent. *Gerard McCaughey is Chief Executive of Infineco LLC, a firm specializing in providing executive-level services to U.S. businesses developing and funding emerging green technologies related to both sustainable building and renewable energy. Mr. McCaughey previously co-founded Century Homes, Europe’s largest offsite building manufacturing company with five plants in Ireland and UK, which he sold in 2005 to Kingspan Group Plc. He is generally regarded in Europe as being one of the leading figure in the green building movement, and was at the forefront of regulatory reform in both Ireland and Britain. He has spoken and written about green and offsite construction in many countries around the world and is a previous winner of Ernst and Young’s Industry Entrepreneur of the Year Award. For crying out loud, I’ve been talking about this for years while examining the Swedish housing industry! All valid points, but let’s not forget that Europeans spend much more money on their housing than the US in general. They build quality to last weather it’s built onsite or off. Prefab or not, more money builds a greener house. The points made at the end about requiring all homes to provide standardized energy performance stats is fantastic. This could easily be done throughout the US via the MLS and a simplified energy performance standard that could be calculated on existing homes for $100-$200. Actually, I would disagree that you would only bring benefits to the top 5%. I am the author of the piece and have been in the offsite business for over 20 yes and we competed across all sectors from low cost multifamily social housing to multi million custom homes. The problem here in the us is that the methodology used is incorrect. In most cases US manufacturers use fairly basic manufacturing systems whereas in Europe we use high levels of automation. This is much the same scenario that existed in the US car industry when the Japanese car manufactures started to use modern methods of production to increase quality and lower the cost of cars even though they had to imported 3000 miles plus into the US market. Thanks for the response Gerry. I understand and appreciate the success you’ve had in Europe. I fully believe this technology is helping all levels of housing over there. My point is more of current market conditions in the US and how that will hinder the same technologies being adopted here anytime soon. If you look at average home prices in the UK vs the USA it’s currently around $365K vs $275K. Prices in USD. The average UK home buyer is spending almost $100K more or 33% more than the average US home buyer. Those kind of prices come from the UK market demanding better quality as well as economics of course. With that demand and price point, it creates a market where the home building industry can afford to invest in the automation referenced in this article. If the demand for higher quality existed in the US and automation could deliver that more efficiently, we would have seen the top 10 home builders in the US switching to it years ago. They are building the majority of the homes and are very tight with their margins and efficiencies. Instead, we see the opposite where you might be able to claim that the US is stuck in the early stages of a select few companies trying to cater to the early adopters with a higher quality prefab and a premium price. We’ll see how it plays out here. I hope you’re right and I’m wrong. I’m an industrial engineer by training and would love nothing more than to see our homes built in the US like you have been doing for years in the UK. I think there are a select few in the US building the way you speak about. Bensonwood that our other commenter, Greg, designs some homes and wall assemblies for is one of them. They don’t have the automation and volume, but they have the quality and energy efficient assemblies. Our chore business is water related I had however some involvement in the construction of +300 domestic dwellings (N Dublin) using off site manufacturing methodology of house kits supplied by a company Gerry Mc Caughey may have been associated with or indeed owned. The dimensional and materials reliability of automated manufacturing practices cannot be overestimated, in my experience the model begins with the off site manufacturer liaising with the designers and architects using seamless transfer from design sign off via the manufacturers facility which is where the magic comes together. A fully coordinated project from design through site prep, base pour delivery and erection including all following trades ensures cost saving and a fully documented compliance M.F. Savings are real with a consistent quality product, dimensional stability and quality control transferred continues from factory to site. The system works it also has attractions for local manufacturers of everything from windows to hinges P.V. Solar panels Doors insulation etc. all supplied into the manufacturing facility minimizing site involvement thereby reducing costs. When highlighting variations on housing unit spend USA v Europe particularly the U.K./Ireland, consider land cost. North America is ideally suited to the offsite build concept why not use the best systems available. can you add a link to references for lower embodied carbon for off site construction? Interesting indeed. First I will disclose that I am a builder/fabricator working with Swiss and German engineers building green home for the U.S. and Canada using best practices developed in those countries and North America. While the UK is adopting fabrication and embracing applied building science, by almost any objective measure, the UK is far behind Scandinavia and Germany, Switzerland, and Austria in integrating building information modeling, building science and fabrication, otherwise referred to as industrialized building. For more information take a look at the 10 million Euro Manubuild project http://www.maubuild.com and the thousands of pages of research. As Wolfgang Feist, Director of the Passive House Institute and Ruedi Kriesi, co-founder of Minergie, publicly stated , a majority of buildings constructed to these standards were fabricated using these processes. And yes Chad, the terrible housing market in the U.S. doesn’t leave much profit margin for existing companies to invest in R&D, new software, and new technologies, but even during the height of the housing bubble they also failed to industrialize the process. Case in point, Pulte failing in Manassas, Virginia and shutting down their factory in January 2007. And while a lot of architects featured in Dwell magazine frequently speak about prefab, their experience is generally limited to prefab of the “chaos in a factory instead of on site” variety (after finding the lowest bidder) rather then designing for fabrication in direct collaboration with an advanced fabricator using industrialized processes – a process which is standard practice in the leading European countries. And affordability? Industrialized processes are the only real solution to create and implement affordable green building at most price points – exactly as it is in every other industry including farming (I grew up on a farm in the Midwest). Warren Buffet has discussed this and put his money behind it by purchasing Clayton Homes. And the most innovative builders at the high end, like Tedd Benson of Bensonwood, also use these advanced processes and manufacturing software like Cadwork and fabrication machines from global leaders like Hundegger http://www.hundeggerusa.com And a few hundred other companies are doing the same in the U.S. and Canada – and a few thousand in Europe. You don’t hear from them much – they are too busy building to blog very often. Sorry about the long post, but it is seems topical indeed. Now back to designing and fabricating a passive house project that will go up in a matter of weeks in January. I am a builder and fabricator working to demonstrate what is possible by actually doing it. I am not a consultant, just the fourth generation in my family to work with wood and the next in line to integrate new technologies and best practices into building to create jobs, construct homes, and make housing affordable. Thanks for reading. Back to building. 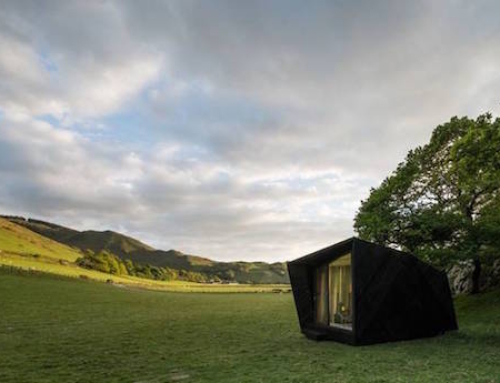 I like the discussion here– Sustainable building will need more brave companies to offer more real content/insight rather than some green wash. Prefab house will become next wave of green building solution if we could develop them in more large scale/ large project with more efficiency. Have a look this and see what you THINK? Very impressive project and videos! But I suspect we both believe – and are working to make it a reality – that applied building information modeling and fabrication will play a major role in green building across the globe. It won’t be the only way, and certainly shouldn’t be, but the efficiencies of integrated systems are “greener” in many ways. And, as in Video 4 below, if buildings are increasingly assembled and not built on site, shouldn’t builders be using components that are accurately and efficiently fabricated after being optimized in a very detailed digital model? Below are additional links and supportive data from a leading innovator. buildings at better prices, providing greater value. collaboration with fabricators and builders. steel industry http://bit.ly/hhBkej) drastically reduces on site manufacturing costs and increases predictability while reducing risks and waste. Executive Director of buildingSMART http://www.linkedin.com/in/danaksmith, http://amzn.to/pI379Q. Prefab homes are most preferred in today’s generation. One of the main reasons is, it is an eco-friendly and it is cheaper than those on-site constructed homes. Do you have any information/statistics re: what percentage of the construction market it built modularly in the US/UK/Europe?